Jordan graduated from Georgia Tech in May 2017 with a B.S. in Economics and Minor in Public Policy. Before working at GDS, Jordan was a foreman for a commercial construction company. He worked full-time or nearly full-time in construction for 8 years. Jordan started at GDS as an Associate Analyst in September of 2017 and on his first day of work, the firm informed all employees in the Marietta office that it was a “work from home day” due to flooding from a hurricane. 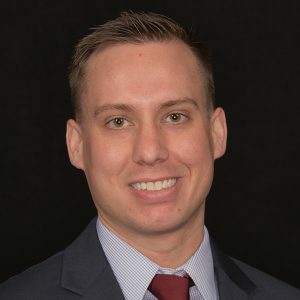 He has worked on a variety of projects so far at GDS, including load forecasting, cost of service and retail rate studies, and demand response program evaluation studies. I’ve learned a lot in just the last 18+ months that I have been here at GDS. Not only have I learned about the utility industry in general, but I’ve learned quite a bit about data analysis and different regression modeling strategies. I’m interested in how the growing and evolving “big data” industry is going to change and impact certain services GDS provides to clients. Also, how GDS can use more and better data to provide increased value in the load forecasting and retail rate services we provide to clients. On any given day when I’m not working I could be woodworking, home-brewing, working on some random home DIY project, hiking with my girlfriend and dog, working on my classic car or motorcycle, or just hanging out and being lazy, watching a good TV show. Any career lessons you have learned thus far? You will have your best and most productive days in the office if you come in with a positive attitude and are open and willing to learn something new. Do you have a favorite film or T.V. show? One of my all-time favorite movies is The Departed. The cast is amazing and so is the director, Martin Scorsese; you can’t go wrong with that combo. I’m also enjoying Brooklyn Nine-Nine right now. And I’d be remiss if I didn’t mention that I am very excited for the final season of Game of Thrones. I’d love to do some more travelling – specifically I’d like to visit Italy and Greece. One of the reasons I’d like to visit Italy is because I’m 25% Italian. My great-grandfather immigrated to the U.S. from Italy via Ellis Island in the early 1900’s. The Departed. Directed by Martin Scorsese, Warner Bros, 2006. Film. Brooklyn Nine-Nine. NBCUniversal Television Distribution & Fox, 2013. Television. Game of Thrones. Warner Bros. Television Distribution, 2011. Television.